A laminated cotton fabric that repels water and that you can just wipe off clean. Use anywhere: crafting/building, grooming the pets, cutting hair, gardening, or cooking in the kitchen you will stay dry and clean. 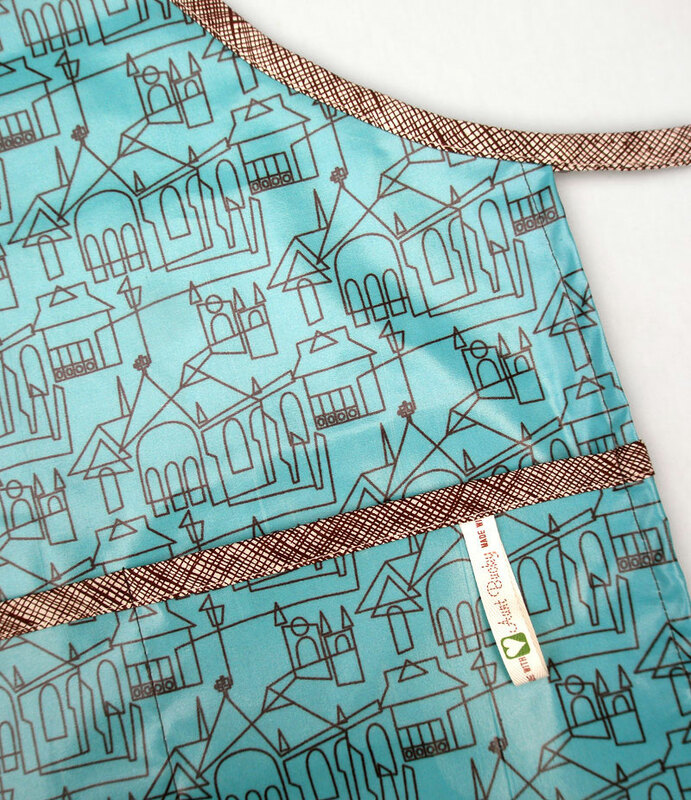 – Adult Teen City Life Apron is sized for teen-aged children and adults. 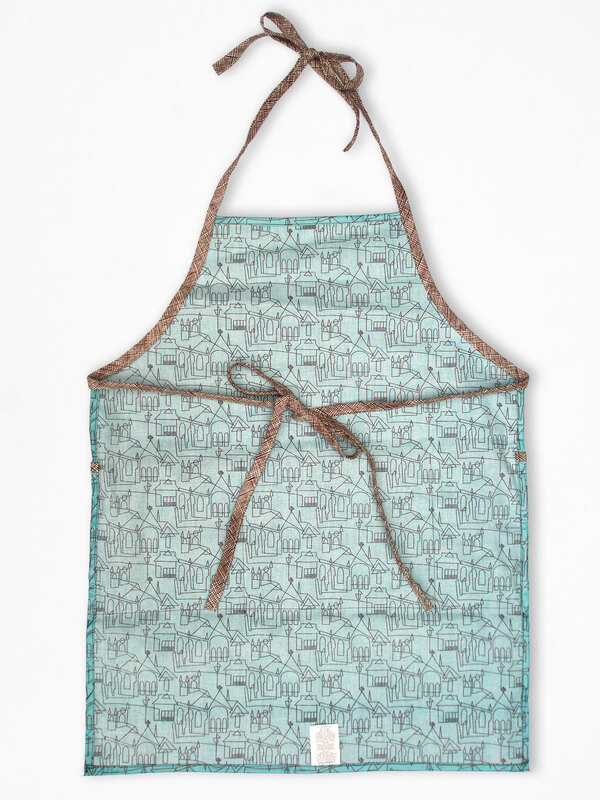 SKU: AuntBucky-CL_Apron. Categories: Aprons, Sale. Tags: adult apron, apron, art smock, chef apron, cooking apron, crafts apron, dad apron, laminated apron, mens apron, painters smock, salon apron, smock, tool apron, unisex apron, waterproof apron, wood shop apron. 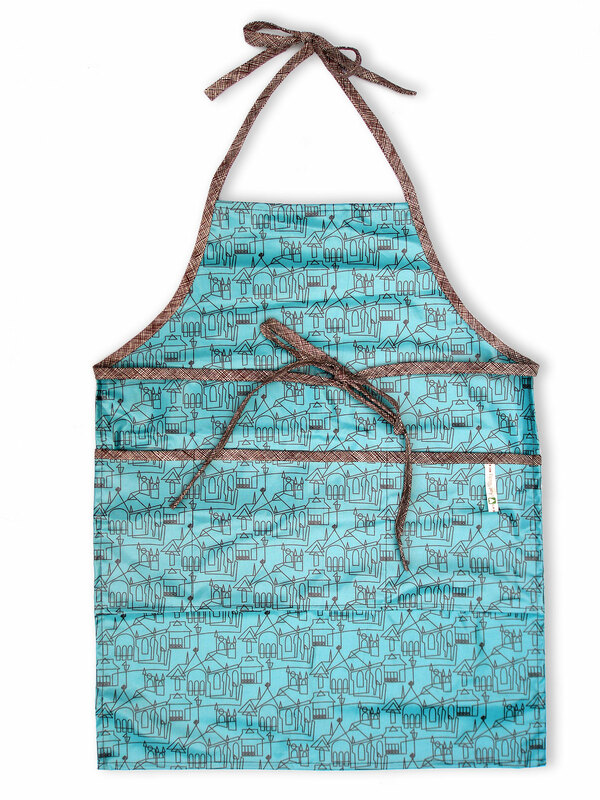 Visit our Kids Apparel section for Kid-Size Laminated Aprons.